Approximately 33% of the thermal energy that comes directly from the internal combustions of a diesel engine is wasted via the exhaust gases. 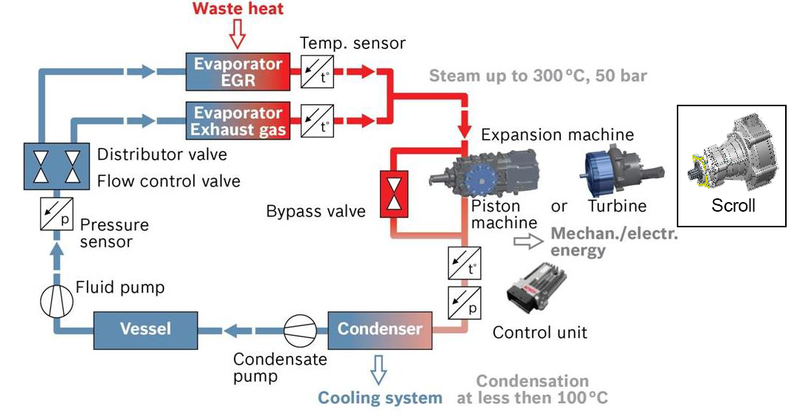 Thus, a waste heat recovery (WHR) system has been looked into to make use of that energy. Another benefit from using a WHR system is the reduction of CO2/NOX emissions. Common expanders in WHR systems are piston type or turbines. A newcomer is the scroll expander being small in size and having a low maintenance rate. With its working principle of a positive displacement machine the scroll expander is a real challenge for 3D CFD. Luckily, BOSCH knows where to look for experts in that field. CFX Berlin provides the right tools, namely ANSYS CFX and TwinMesh, and experience to take such a challenge. Consequently, developers at BOSCH were able to run plausible simulations and were able to get reliable results in order to get insides into the scroll expander in its full complexity. Dr. Cristian–Aurelian Coclici from BOSCH “appreciates the very good collaboration with CFX Berlin Software GmbH”. 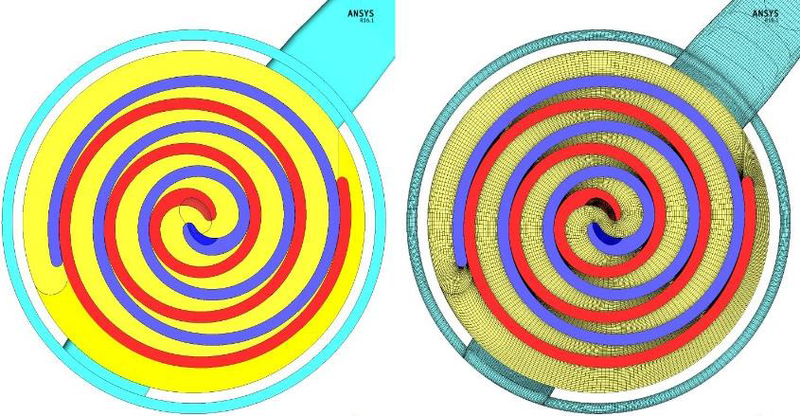 Find out more about that and BOSCH’s steps to develop a novel approach for WHR systems by using ANSYS CFX and CFX Berlin’s TwinMesh for their scroll expander analysis.